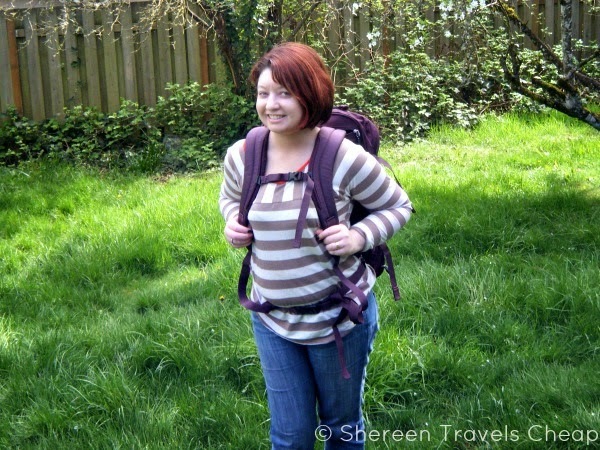 Do you often go places and find you have to drag your roller bag up and down stairs? Even in metropolitan cities, where you would expect to find elevators, you may find this issue more than you expect. When you have to take public transportation and your bag doesn’t roll well on uneven sidewalk or cobblestones or you need to quickly get from underground platform to underground platform where you won’t find a convenient elevator or escalator. Or you get on the plane and realize your bag doesn’t roll down the miniscule aisle and it's bulky trying to carry it in front of you without tripping over it. I have this problem all the time. Since I don’t pack too much and my bag isn’t that heavy, it can become a burden when faced with multiple flights of stairs and my roller bag doesn’t have a convenient top handle. Sure, the side handle is great, but I find that the wheels end up knocking me in the legs and making my knees almost buckle. Nobody wants that to happen halfway down cement steps (or really any sort of steps). 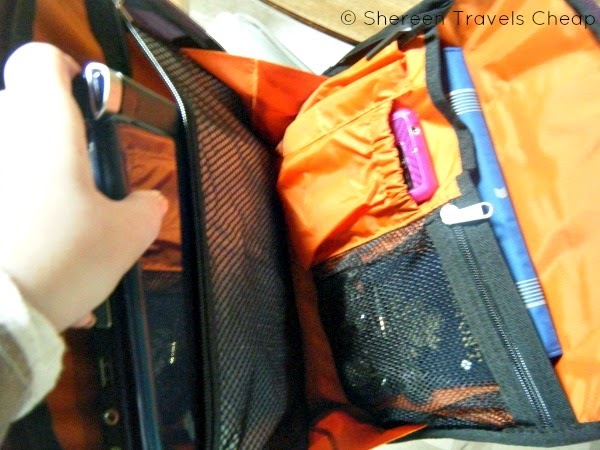 eBags realizes that not everyone travels the same and roller bags are not always as convenient as we think they are. 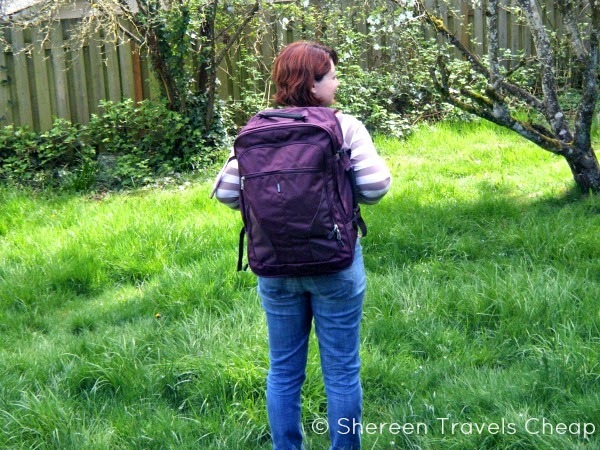 Convertible bags are becoming more and more popular, so you can take the same bag on a city break as you can backpacking through Europe. 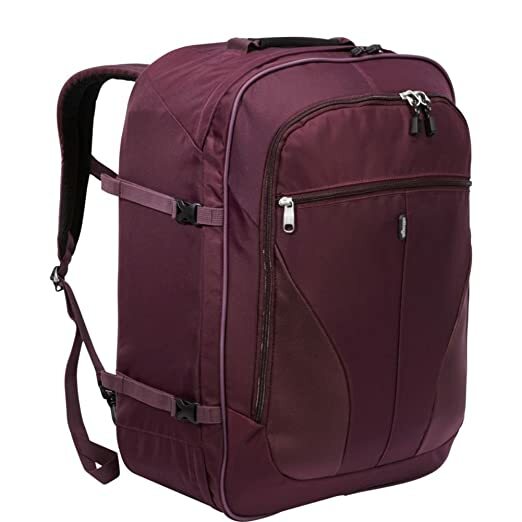 The eTech 2.0 Convertible Weekender Junior is one such bag that can be used by everyone, without rolling over people’s toes or causing you have to pull the handle out and push it back in every few steps when you have to pick it up and put it down in order to carry it. The bag offers a top and side carry handle, wrapped in Neoprene for comfort, so hauling it around is not annoying. 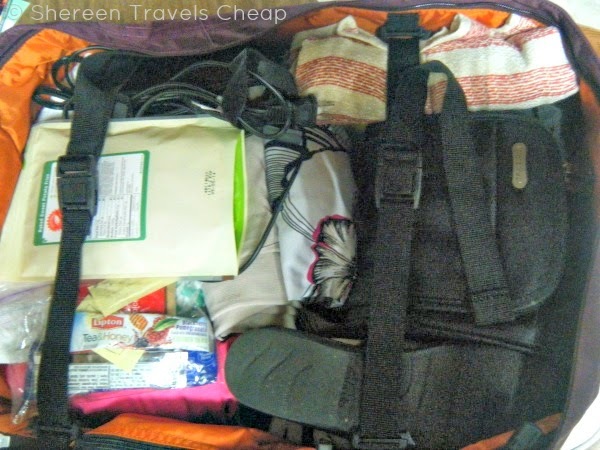 The absence of wheels makes the bag quite a bit more pliable and also lighter, which is always nice when you travel. 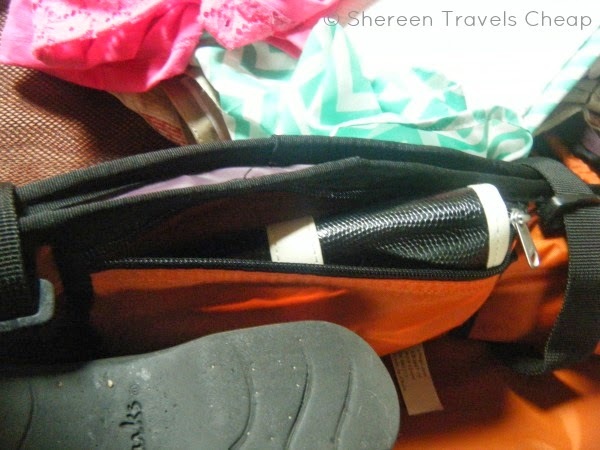 Though this is called a weekender, I packed it as I would if I were traveling with just this bag on a warm weather vacation and was able to get a whole week’s worth of clothing inside, along with my toiletries, extra shoes, my netbook and iPad mini. There was even more room inside to add more, which means I could have packed extra stuff or had room for bringing home souvenirs. 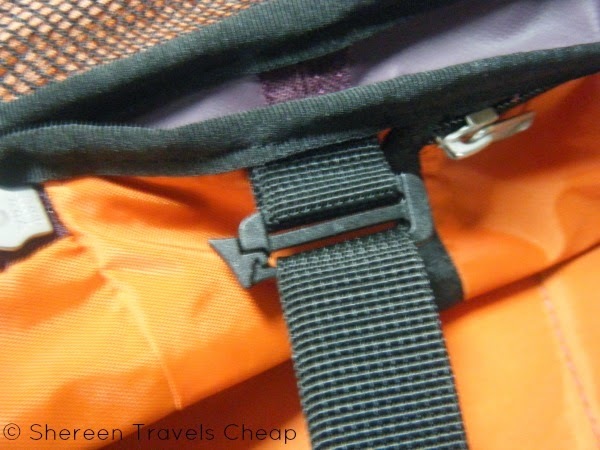 One of the things I like about this bag is the internal clips that allow you to place the tie-down straps higher up than usual, making it easier to layer your belongings inside in multiple layers, without unnecessarily squishing those on the sides of the bottom. 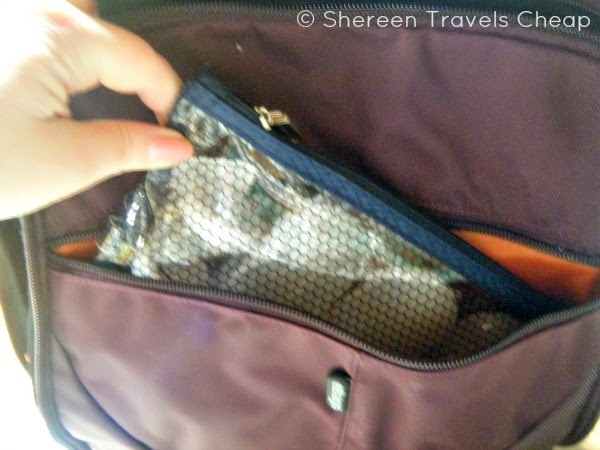 Have extra room on the inside of the bag? Don’t let it rattle around getting all disorganized. 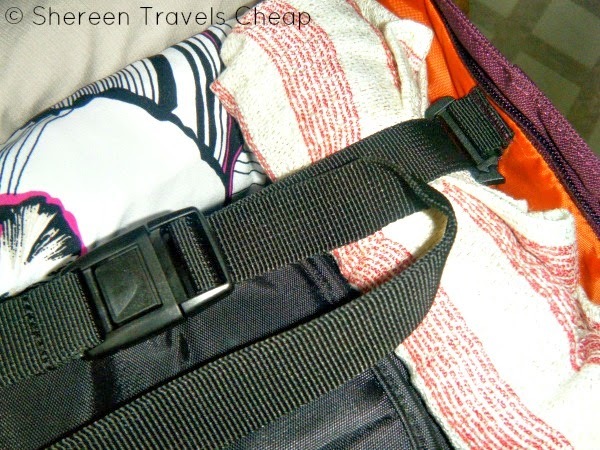 The compression straps on the outside of the bag adjust to make the Weekender “smaller” to conform to your belongings. Keep items separate inside the Weekender. 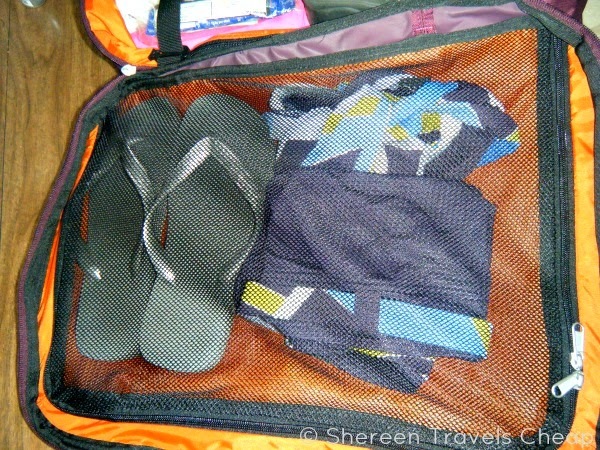 Though the main compartment is large, you have the option of adding items you want isolated from them in the mesh zip-around pocket – I put my flip flops and bathing suit in there and would probably also add underwear and socks to it – and smaller items, like your jewelry roll, to the internal zipper pouch. You’ll see that the inside of the bag is a bright orange, which makes it lighter than a normal bag and way easier to find stuff without a flashlight. 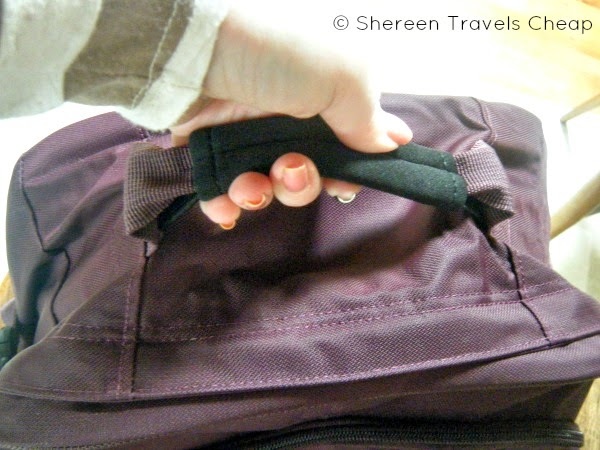 Not feeling like carrying your bag while you’re getting to your desired destination? 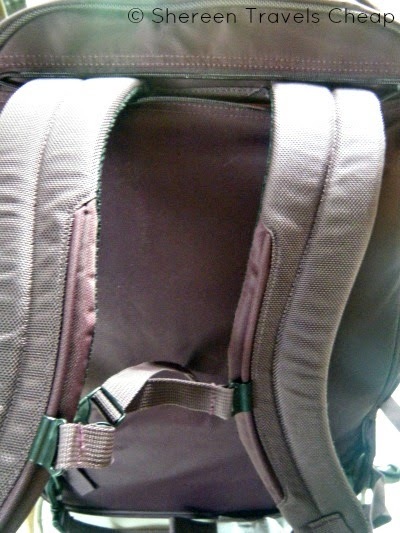 Use the hide-away shoulder straps to take the load off and free your hands. The back panel of the Weekender is padded for comfort against your body and the straps are also padded (and adjustable) to keep them from digging into your shoulders and making them perfect for people of all shapes and sizes. Not only can I easily tote this bag around, but with a few adjustments, Eric could also carry it on his shoulders. Got items you need quick access to? 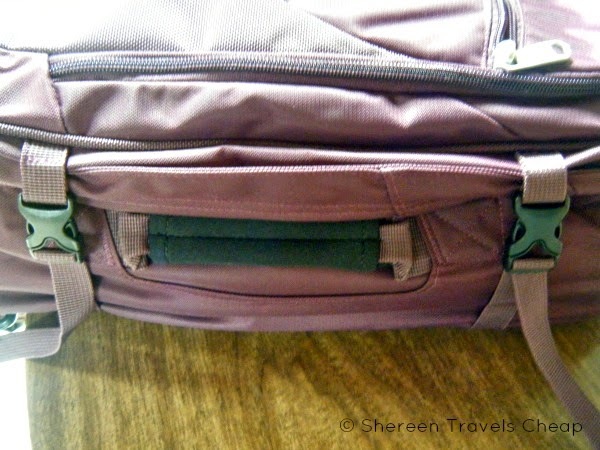 The front zipper pocket is deep and can be used for your 3-1-1 bag (like I did) or for travel documents. 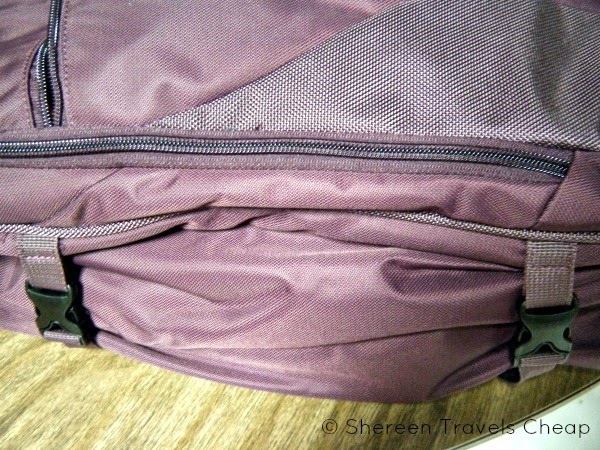 Behind that is a gusseted organized panel that zips ¾ of the way around, which can hold bigger or smaller items in the many pockets, including pens, passports, change, phones, reading material, headphones and more. I was able to fit my net book and iPad mini in this pocket, along with a few other items I like to have on hand. So, if a backpack fits more your travel style than a normal roller bag, then you may want to check out the eTech 2.0 Convertible Weekender Jr. It gives a certain ease to different types of travel and won’t necessarily get in your way when trying to race through the airport or navigate the crowds in the subway stairwell. Disclaimer: I was provided with the eTech 2.0 Convertible Weekender Junior for the purposes of this review, but all opinions are 100% mine.